Get ready to take your installations to a higher level! 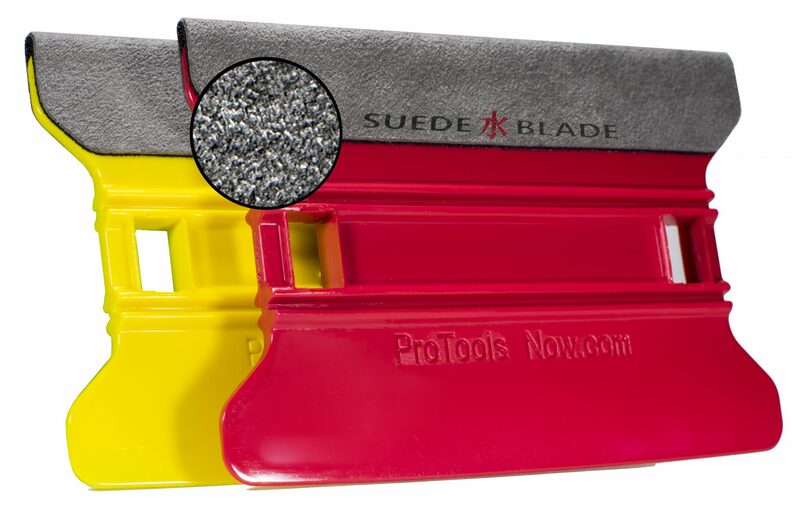 The real game changing feature that takes this tool over the top is the ALL NEW, Pro Tool Now exclusive, Suede Blade Edge! You may have tried other felt, teflon or suede edged products, but the Suede Blade takes that concept to a whole new level. Unlike other felt or teflon edges on the market today that offer a set amount of flex across the blade, the Suede Blade generates the precise amount of flex where you want it combined with the rigidity when you need it. It is hard to truly describe until the first time you use one. It simply outperforms other similar tools on the market. Best of all, it glides over window tint, paint protection film and vinyl graphics / wraps with an ease that will leave you astounded. From the original innovators in the installation tool business, Pro Tools Now, comes this new offering that again changes the game and raises the bar. The you are ready to see how great an installation tool can be, try the Speed Wing with Suede Blade Edge by Pro Tool Now. These innovative tools are available at all primary sources of installation tools. Ask for them by name if your normal source does not have them. Accept no substitutes. The Speed Wing with Suede Blade Edge. Get ready to take your installations to a higher level! Who sells it near Detroit Mi ?